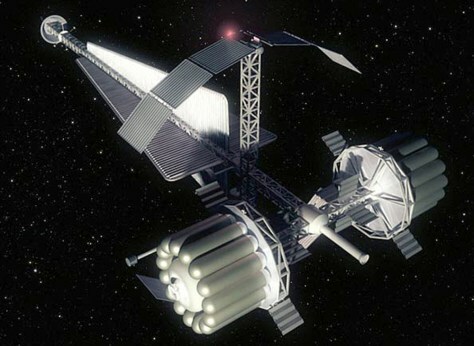 An artist's conception shows a spacecraft that could be used for the Human Outer Planets Exploration mission to Callisto, one of Jupiter's moons. NASA figures the trip would take five years. Such a mission could use human hibernation technology, although NASA says that isn't currently under consideration.